Ok, I admit it, I have corners in my home that I don't often venture into. In fact, I only found this because, well, because I kinda fell into the corner.... long story but there was a spider involved!. 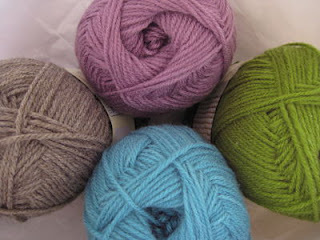 Another stash of yarn - this time it's just boring acrylic waiting to be made into a crochet bag. It's a bit like pulling the couch out for it's twice a year vacuum - I find things that had been missing for months!! Unfortunately it's never as interesting as yarn.